San Francisco Transgender Film Festival Celebrates 20th Anniversary! San Francisco Transgender Film Festival was the first festival of its kind in North America. This landmark festival—which promotes transgender and gender-variant visibility, culture and community through its quality films—has been educating and engaging audiences for two decades. 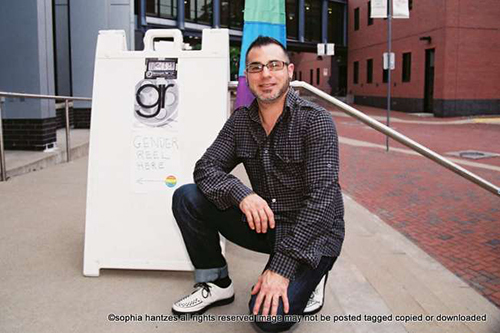 Recently, the San Francisco Bay Times sat down with San Francisco Transgender Film Festival (SFTFF) Artistic Director Shawna Virago, to discuss the upcoming 20thAnniversary 2017 SFTFF, November 10–12 at the Roxie Theater. San Francisco Bay Times: Congratulations! This is the San Francisco Transgender Film Festival 20th Anniversary, which is quite an accomplishment. What can we expect this year? 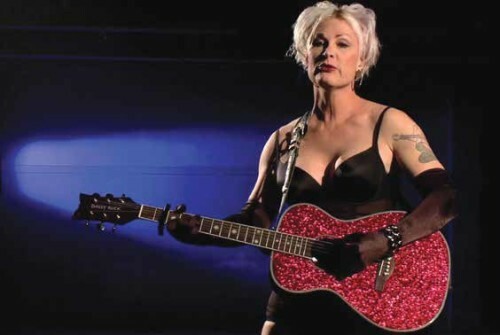 Shawna Virago: This November 10–12, SFTFF celebrates its 20th Anniversary festival with three days and nights of transgender and gender non-conforming films at the Roxie Theater. 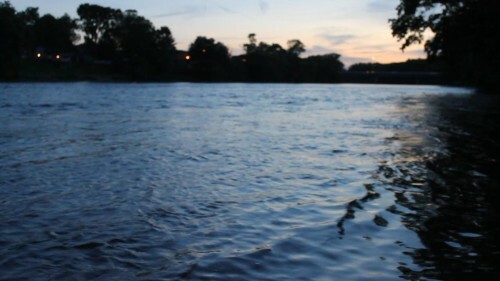 The festival will feature inspiring documentaries, jaw dropping animation, hard hitting short films, and gender and genre-busting experimental films. As always, all genders are welcome! San Francisco Bay Times: What will be some of the highlights for you at this year’s festival? Shawna Virago: I’m proud that we’re still here and more vibrant than ever. 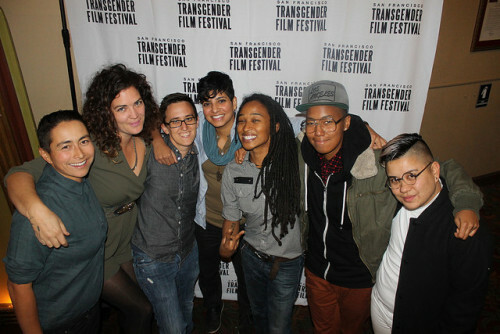 SFTFF is the world’s first and longest-running international Transgender film festival. We were founded in 1997, and so for years, we have had to survive and thrive on our transgender smarts, sweat and love from the community. I’m proud of all our programs this year, especially our closed-captioned-for-Deaf-and-hard-of hearing audiences program on Saturday, November 11, at 9 pm, which I think is a very strong program. This year we’re thrilled to screen a new Macy Gray music video, Stop Drop Roll. It stars gender-fluid choreographer Jenzi Russell and is part of our opening night screening, Friday, November 10, at 8 pm. 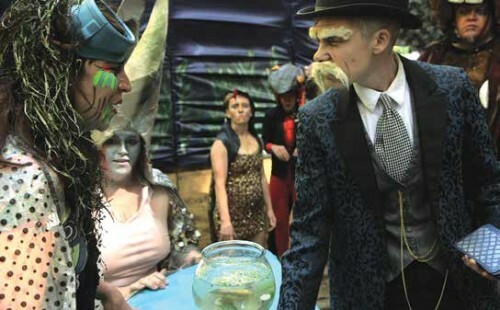 Also, part of our opening night screening is The Gold Fish Casino, a queer musical that tells the story of a plucky salmon forced by a lack of water to gamble her eggs to get upstream. It’s a timely statement about the ongoing destruction of the environment and is directed by Sarolta Jane Vay, whose work exemplifies a commitment to social justice. But all of the programs are strong, and people should come out and see them! San Francisco Bay Times: Were there any unique challenges this year? Shawna Virago: We had a record number of strong submissions. It was hard for the team to select only a fraction of them. San Francisco Bay Times: What motivates you and your team to do this film festival? Shawna Virago: We were founded in DIY and anti-oppression principals, and we are committed to have SFTFF provide a counter-narrative to the increasingly assimilationist world of transgender reality stars and celebrities. Hollywood gets it wrong—very wrong. Come see trans and gender-variant people telling our own stories. Come see trans characters played by trans actors. San Francisco Bay Times: Just for you personally, what needs to happen this year for you to consider this experience a success? Shawna Virago: I want to share our great programs with our communities. I believe gathering in community and sharing art and supporting each other are very important right now, given the ongoing attacks against our rights from the overt supporters of white supremacy, transphobia and racism that are running the national government. San Francisco Bay Times: How has SFTFF changed from its inception? Shawna Virago: We were started in 1997 by two friends of mine, Christopher Lee and Alex Austin. I was brought in as part of the team in 2003. When we started, funders and most film festivals would not support transgender film festivals or filmmakers, so I am very proud of our history of advocating for the rights of trans and gender non-conforming film makers. San Francisco Bay Times: Anything you’d like to add? Shawna Virago: Although I look forward to the next twenty years for SFTFF, I want people to come out November 10–12 and help us celebrate our milestone 20th Anniversary! 2016 SFTFF Save the Date Trailer! The 2016 San Francisco Transgender Film Festival will take place at the Roxie Theater in San Francisco, CA, USA November 10-13, 2016. For venue, program and schedule information, visit SFTFF’s website (www.SFTFF.org) starting October 1, 2016. In the meantime, join our email list to receive updates: sign up at www.SFTFF.org. AK: After my grandmother passed away earlier this year, I found a voicemail she left me while I was driving cross-country to move back to California in 2012. She mistakenly thought she’d hung up after saying goodbye, but the recording went on to reveal her explaining to a friend of hers who I am and that I’m trans– all in Hindi. All my life, she challenged me to commit myself to a path of nonviolence and service, but she never quite saw my work in the trans community as falling under that umbrella. Call and Response pairs her challenge with the voices of five trans men, who reflect on the meaning and purpose of privilege and community responsibility. AK: While we were shooting the interviews, my camera kept overheating and disrupting the recording process, so we would have to stop recording to let the camera cool off and then start again. On top of that, the camera didn’t have an audio input, so we were recording the sound separately. I ended up with 4-6 video files and 2-3 audio files per interivew, which I had to line up before I could edit. Definitely learned my ounce-of-prevention lesson for recording audio and video together! Screening on Sunday, November 13 at 2pm at The Roxie Theater. DC: I was inspired to tell the story of Sthefany because I wanted to make a film about immigration. Immigration most of the times is caused by economic interests, however there are also other powerful reasons to leave your home country. In the case of Sthefany it was because she was discriminated for her sexual orientation and her gender identity. The discrimination was unbearable, so she decided to migrate to a country in which she could be her true self. 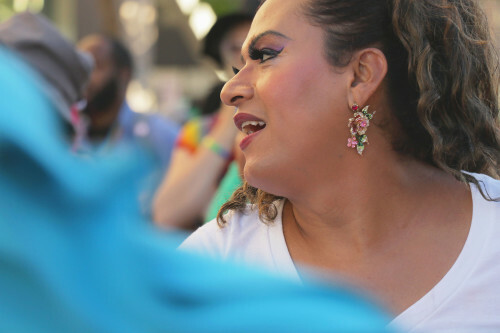 Sthefany’s life relates to many other trans Latina women so I felt I needed to tell her story. DC: Family, acceptance, and immigration. DC: Stay true to who you are. Valuable people will love you no matter what. DC: ‘El cisne’ by Agustín Lara. 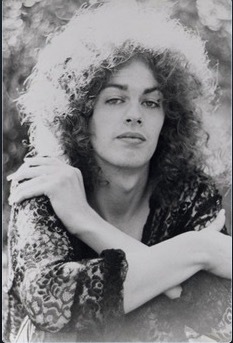 PS: Back in the early 70s two of my best friends were transgender and they were the most fun people I had ever met. I was in film school at the time, had cameras at easy access and decided to make a film about them. Gender identity movies were few and far between back then. Screening on Saturday, November 12 at 9:30pm at The Roxie Theater. San Francisco Transgender Film Festival will take place November 12-15, 2015 at the Roxie Theater and the Castro Theater. Mark your calendars now and join the SFTFF email list to receive updates!